Oesterreichische Nationalbank, Otto-Wagner-Platz 3, 1090 Vienna, 'Kassensaal' (first floor). Tueday, November 25, 2014, by fax (+43-1-404 20-04-6697) or by e-mail to Karin.Weiss@oenb.at. Professor Rey will talk about financial integration in the world economy and monetary policy independence, addressing some of the following questions: Are the financing conditions in the main world financing centers setting the tone for the rest of the world, regardless of the exchange rate regime? Is there a global financial cycle and, if so, what are its determinates? The picture emerging is that of a world with powerful global financial cycles characterized by large common movements in asset prices, gross flows and leverage. As credit cycles and capital flows obey global factors, they may be inappropriate for the cyclical conditions of many economies. Further, credit flows are particularly procyclical and volatile. Hélène Rey is Professor of Economics at London Business School. Before that, she taught at Princeton University. Professor Rey is a Fellow of the British Academy, of the Econometric Society and of the European Economic Association. 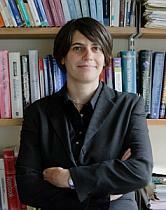 She is on the Editorial Board of The Review of Economic Studies and the AEJ Macroeconomics journal. She was a member of the Conseil d’analyse économique until 2012 and writes a regular column for the French newspaper Les Echos.